FOR every three Muslims in Malaysia, there are two others who follow different faiths and beliefs. The Muslim community of over 18 million people co-exists with more than 11 million followers of other faiths, including Buddhism, Christianity, Hinduism, Chinese beliefs, Sikhism and others. Inter-faith co-existence is, thus, imperative with regard to Malaysia’s national unity. Our community’s success thus far consists of gaining independence from the imperialist powers of Siam, Portugal, the Netherlands, Britain and Japan, in maintaining its sovereignty, and in progressing in science, technology and the economy. All these reflect that, to a certain extent, there is social integration and unity in Malaysia, which consists of, among others, adequately understanding other faiths and beliefs, positive perception, and low level of prejudice towards other adherents. In a 2013-14 survey, Universiti Putra Malaysia and Ikim found that firstly, 95% of respondents scored high, reflecting a high level of basic knowledge in their religion as well as of others’. Secondly, the majority of respondents had a positive perception of followers of other faiths: more than 95% in the peninsula and Sarawak, and 63.8% in Sabah. Thirdly, more than 80% had a relatively low level of prejudice. While there is successful social integration, unity can always be gradually enhanced. Such success is largely because, since the fight for independence, the vision of the country is to safeguard the interests of all, including the minorities. There is no compulsion in terms of religion, culture, and in learning and speaking other languages. However, given Malaysia’s diverse races and tongues in a relatively young country, for the sake of social integrity and robust communication, the Constitution of the Federation enshrines that there should be one national language, the Malay language. Another significant national document that envisions the future of Malaysia, the Rukun Negara, emphasises the following three aspects. First, being democratic in politics; second, fairness and justice in economics; and, third, acceptance of the fact that Malaysia inherits rich and colourful multicultural traditions. Disunity looms large on the horizon, if the contrary happens. First, absolutist government: with no check and balance, socio-political authorities will be inclined to oppress the weak and powerless. This results in disunity between the powerful authorities and the vulnerable and the defenceless. Throughout the Quran, God condemns all political power obtained through aggression or criminal violence, as it is bound to give rise to oppression, suffering and moral corruption in society. One such verse is, “Indeed, Pharaoh tyrannised over the land and divided the people thereof into different classes; he oppressed one class of them … for he was one of those who spread corruption on earth”. It is such a Pharaonic claim to absolute power that is the overriding destructive force against human civilisation, whereby “he has transgressed all bounds of what is right” or the limits of the golden mean confirmed by divine law and sound rationality. The second cause of social disunity is a corrupt economic system, when the rich stockpile national wealth at the expense of the poor and the helpless. A just circulation of wealth is indeed emphasised throughout the Quran: “wealth should not circulate solely among the rich”. MALAYSIA needs to be prepared for a rapidly changing, increasingly interconnected and technologically rich world where there will be many new opportunities. There will also be disruption across many industries, demanding greater career flexibility. We need expertise in various disciplines, particularly science, technology, engineering and mathematics (STEM). More effort is needed to increase the number of researchers, scientists and engineers. In the future, we will have to compete with our brains, and with science. Increasingly today, however, Malaysian students opt out of STEM fields at the secondary school and tertiary levels — part of a worrisome global trend. To overcome this, science teaching must change, with the overall objective of fostering a living science as a dynamic force for societal improvement. Our efforts must be geared towards the creation of a scientific mind. Science teaching has to evolve from its traditional form, where sciences are taught without showing much of its exciting usefulness and practicality in everyday life. In classrooms, scientific laws are learnt, not discovered; hypotheses are not tested but taught. This does little to develop an attitude for inquiry, adaptability and objective understanding. Students need the ability to critically observe, analyse and draw conclusions on everyday phenomena. We must help make science education more interesting, relevant and applicable to our daily lives. Graduates must not only be book smart and curious, but have the “soul” or conscience to know right from wrong; they must have the ethics and integrity to pursue science for the betterment of society. Tabling the 2018 Budget recently, he announced RM250 million to set up a STEM centre to develop the latest learning methods to train STEM specialist teachers. The computer science curriculum module will be enhanced to include coding by primary and secondary school students, and 2,000 classes will be upgraded to 21st century smart classrooms to enhance creative learning and innovative thinking. The government is also committed to technical and vocational education and training, announcing the TVET Malaysia masterplan, including 100 TVET Excellent Students Scholarships worth RM4.5 million. Also of note is the bid to support skilled workers in the rail industry. The new National Rail Centre of Excellence, Malaysia Rail Link Sdn Bhd, in cooperation with higher education institutions, will train 3,000 professionals in the industry. In 2011, futurist Thomas Frey predicted that 60 per cent of the jobs in the future have not yet been invented. On that point, physician and writer Dr George W. Crane makes this assertion: “There is no future in any jobs, the future lies in the person who holds the job”. Hence, we can no longer focus on equipping students for specialised careers. Career paths are becoming more flexible and we need to change expectations of what a person’s “career”, or “careers”, will look like. Of course, we need specialists and academics, but businesses need employees with a broad range of skills and experience that can help them to creatively adapt to technology-rich environments. Young people need that range of skills so that they can move between careers. Graduates of the future should become job creators, rather than job seekers. The world needs new ideas, innovative solutions and visionary leaders who can make them happen. Today’s most successful entrepreneurs are those who pursue both economic and social values, who create not only wealth but also a wealth of opportunities for others. Entrepreneurship education is a vital part of the overall curriculum. We also should prepare the education system to support the ongoing re-qualification of the industrial workforce, recognising the need for training to take place in more settings than traditional locations. This support could include providing online-learning platforms and access to free courses at “open” universities, which have no entry requirements, as well as using mobile apps to offer training and access to know-how. NOT long ago, tech was the coolest industry. Everybody wanted to work at Google, Facebook and Apple. But, over the past year, the mood has shifted. Some now believe tech is like the tobacco industry — corporations that make billions of dollars peddling a destructive addiction. Some believe it is like the NFL — something millions of people love, but which everybody knows leaves a trail of human wreckage in its wake. Surely the people in tech — who generally want to make the world a better place — don’t want to go down this road. It will be interesting to see if they can take the actions necessary to prevent their companies from becoming social pariahs. The first is that it is destroying the young. Social media promises an end to loneliness, but actually produces an increase in solitude and an intense awareness of social exclusion. Texting and other technologies give you more control over your social interactions, but also lead to thinner interactions and less real engagement with the world. As Jean Twenge has demonstrated in her books and essay, since the spread of the smartphone, teens are much less likely to hang out with friends, they are less likely to date, they are less likely to work. Eighth-graders who spend 10 or more hours a week on social media are 56 per cent more likely to say they are unhappy than those who spend less time. 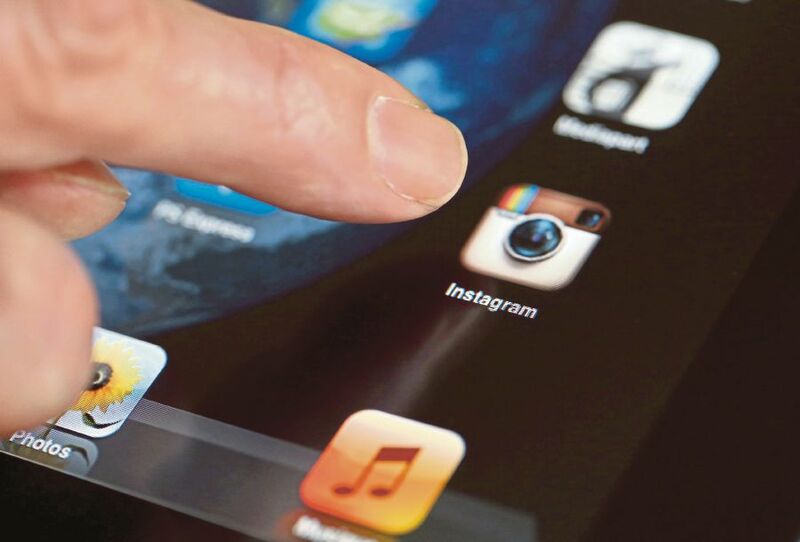 Eighth-graders who are heavy users of social media increase their risk of depression by 27 per cent. Teens who spend three or more hours a day on electronic devices are 35 per cent more likely to have a risk factor for suicide, like making a plan for how to do it. Girls, especially hard hit, have experienced a 50 per cent rise in depressive symptoms. The second critique of the tech industry is that it is causing this addiction on purpose, to make money. Tech companies understand what causes dopamine surges in the brain and they lace their products with “hijacking techniques” that lure us in and create “compulsion loops”. Snapchat has Snapstreak, which rewards friends who snap each other every day, thus encouraging addictive behaviour. News feeds are structured as “bottomless bowls” so that one page view leads down to another and another and so on forever. Most social media sites create irregularly timed rewards; you have to check your device compulsively because you never know when a burst of social affirmation from a Facebook “like” may come. The third critique is that Apple, Amazon, Google and Facebook are near monopolies that use their market power to invade the private lives of their users and impose unfair conditions on content creators and smaller competitors. The political assault on this front is gaining steam. The left is attacking tech companies because they are mammoth corporations; the right is attacking them because they are culturally progressive. Tech will have few defenders on the national scene. Obviously, the smart play would be for the tech industry to get out in front and clean up its own pollution. There are activists like Tristan Harris of Time Well Spent, who is trying to move the tech world in the right direction. There are even some good engineering responses. I use an app called Moment to track and control my phone usage. The big breakthrough will come when tech executives clearly acknowledge the central truth: Their technologies are extremely useful for the tasks and pleasures that require shallower forms of consciousness, but they often crowd out and destroy the deeper forms of consciousness people need to thrive. Online is a place for human contact, but not intimacy. Online is a place for information, but not reflection. It gives you the first stereotypical thought about a person or a situation, but it’s hard to carve out time and space for the third, 15th and 43rd thought. Online is a place for exploration, but discourages cohesion. It grabs control of your attention and scatters it across a vast range of diverting things. But, we are happiest when we have brought our lives to a point, when we have focused attention, and will, on one thing, wholeheartedly with all our might. Rabbi Abraham Joshua Heschel wrote that we take a break from the distractions of the world not as a rest to give us more strength to dive back in, but as the climax of living. “The seventh day is a palace in time, which we build. It is made of soul, joy and reticence,” he said. By cutting off work and technology, we enter a different state of consciousness, a different dimension of time and a different atmosphere, a “mine where the spirit’s precious metal can be found”. Imagine, if instead of claiming to offer us the best things in life, tech merely sees itself as providing efficiency devices. Its innovations can save us time on lower-level tasks, so we can get offline and then experience the best things in life. How much screen time should we allow children? THE school holiday is here again! I’m sure you will agree with me that school holidays are the best times of a student’s life. It’s a welcome breather — a break from the monotony of having to wake up early in the morning and prepare for school. School holidays offer the opportunity for more family time and for parents to improve their communication and relationship with their children. Most parents I know have plans with their children — for a family vacation or other recreational activities. All these are expected to bring the family closer together and should have a positive impact on the children’s well being. In this digital age, there are also parents who believe that technology and gadgets are essential for a child’s development. That these devices are a good companion and teacher. Thus, they feel it is all right to allow their children almost unlimited screen time, as long as everyone is happy. Screen time refers to any activity done in front of a screen, be it a television, computer, smartphone or tablet. It is a sedentary activity that requires very little energy or movement. But, how much screen time is okay? And how much is too much? Used wisely and in moderation, screen time offers a lot of benefits to viewers, in particular, the youth. Studies have shown that playing video games can boost their motor skills and other elements like problem-solving skills and memory boost. Other research has documented, qualitatively, that video games promote social interaction and friendships. The children make friends with other gamers, both in person and online. They talk about their games with one another, teach one another strategies and often play together, either in the same room or online. But, it becomes bad when children use it excessively or they are exposed to screen time too early. A study in South Korea has reported a delay in language-learning among children aged 24 to 30 months with time spent in front of a TV. Another study in Thailand reported children from 6 to 18 months who are exposed to the TV showed emotional reactivity, aggression and externalisation behaviours. Canadian addiction expert and author of Glow Kids: How Screen Addiction Is Hijacking Our Kids Dr Nicholas Kardaras said there were over two hundred peer reviewed studies that correlate excessive screen time to everything from ADHD (attention-deficit hyperactivity disorder) and depression, to anxiety and psychotic-like symptoms. As with other technology usage, screen time is a double-edged sword. It’s bad when used excessively. I’m a firm believer that technology is good for everyone, including children. It is only bad when their screen time is not properly managed and disrupts eating and sleeping patterns, causes obesity and eroding social skills. Perhaps, this school holiday is a good time to get our children to put away those gadgets and enjoy the world outside. While our weather may be humid and hot, the evenings are still great for a visit to the park for a walk. Let’s find alternatives to screen time for our children, such as building Lego blocks, solving puzzles, colouring, assembling car toys and dressing up dolls. Or, having family board games and hide and seek. The most important thing is to spend quality time with the family. SIDMA College Kota Kinabalu through its Madrasah Jamiatul Fathi and around 13 staff of SIDMA College from various department have collaborated and conducted a Hajj Simulation programme for school children, particularly children of SIDMA College’s staff. The programme which was held on 26 November 2017 at SIDMA Atrium, was part of SIDMA’s Corporate Social Responsivities (CSR) to educate schooling children about the rite, performing Hajj, the fifth pillar of Islam. The programme, which was also serve as an assignment for the kids during the 2017 Year-End school holidays, was to expose the children on the pilgrimage to Mecca, Islam Holiest City. The target group for the event are the children of Muslim staff of SIDMA College between the ages of 7-12 years old whereby around 30 of them have registered and successfully completed the simulation. At SIDMA Atrium, simple replicas of building such as the Ka’ba, replica of Safa and Marwah hills, Hateem and Maqam Ibrahim that the kids will see in Mecca were constructed to enhance the ambience and fortify the simulation. Uniquely, the children were also being taught on how to put Ihram Clothing for both boy and girl. For the boy’s garments, it is often consisted of two white un-hemmed sheets (usually towelling material) and are universal in appearance. The top (the riḍā) is draped over the torso and the bottom (the izār) is secured by a belt; plus a pair of sandals. Girl’s clothing is based on the women’s prayer outfit (telekung). The kids used the garment, as the white ihram clothing is intended to make everyone appear the same. In front of God there is no difference between a prince and a commoner when everyone is dressed equally. Ihram also contributes to a feeling of unity that pilgrims have when they are in the city of Mecca. They are all brothers and sisters joined to worship God. The programme started as early as 8 am where the participants registered themselves before proceeding with the simple briefing and lecture on how to perform the Hajj that was delivered by Ustaz Hj Muchlis Ali Kassim, the Head of Persatuan Ulama’ Malaysia, Sabah Branch. At around 11.30 am, the practical session started. Most of the activities were conducted at the Atrium while the sa’ie, the running between Safa and Marwah as well as the stoning of the jamarāt [place of pebbles]“) were conducted at the basement of SIDMA College. Around 1.30pm, after all the simulation of the ritual conducted during Hajj was completed, Ustaz Hj Muchlis give his review on the overall simulation and later on presented the certificate of completion to all the participants. Dr. Morni, the Chairman of SIDMA College in giving his feedback on the programme praised the organiser that was headed by Mdm. Azizah Khalid Merican, CEO of SIDMA College and the Programme Director, Ustazah Noradilah binti Mohamaddia from the Madrasah Jamiatul Fathi. He said that the event which is a first for SIDMA College have shown positive and fruitful outcome to both the parents and children whereby Dr. Morni himself have registered his two young children to the programme and he conveyed his sincere thank you and appreciation notes especially to the organising committee. He said that he wish more similar religious activity will be conducted at SIDMA College. For further details on the Madrasah Jamiatul Fathi classes or any future religious programme, you may contact Ustazah Noradilah at 088 – 732000 or email noradilah@sidma.edu.my. As for information about various courses offered at SIDMA College UNITAR Sabah, you may browse SIDMA College Website, or like our Facebook Account. Potential students can also visit us at SIDMA College Jalan Bundusan, 88300 Kota Kinabalu, or call our hotline number: 088-732 000 or 088-732 020. Dr. Morni Hj Kambrie (Founder and Chairman of SIDMA College) distributed school uniforms to all schooling (both primary and secondary schools) children of SIDMA staff. The event was held on 25 November 2017 at Student Lounge, SIDMA College. 72 excited SIDMA staff’s children, accompanied by their parents who were present during the event to receive the uniforms. For this year, each child was allocated two pairs of the school uniforms. Dr Morni in his welcoming message, informed the parents and the children that the distribution of free uniforms to schooling children was part of what he has promised earlier during his 2017 Year End Mandate to all the staff during the recent Staff Day Out held at the Shangri-La’s Rasa Ria Resort & Spa, Tuaran on 20-22 October 2017. During the event he promised to share part of his earning for the welfare of his staff, as part of his Corporate Social Responsibilities (CSR). Meanwhile, Mdm. Azizah Khalid Merican, CEO of SIDMA College on behalf of all SIDMA staff humbly conveyed their sincere thank you and appreciation message to Dr Morni and his family for their generosity, caring and sharing attitude, as well as being concerned towards his staff wellbeing. On behalf of all the staff, she too reassured Dr Morni that all the staff of SIDMA College will intensify their efforts in serving the college to the best of their abilities. “It gives us great pleasure to serve in this college, and to see our students reaching greater heights”, she said. SIDMA College really appreciated the staffs’ efforts throughout the year in line with the College vision and mission; and together are looking forward for more successful years ahead. Nutritionists to work together with PTAs nationwide to increase awareness on healthy eating. KLANG: Nutritionists will be sent to schools nationwide to hold nutrition talks and classes with Parent-Teacher Associations (PTA) to enlighten parents on the importance of healthy eating in childhood. 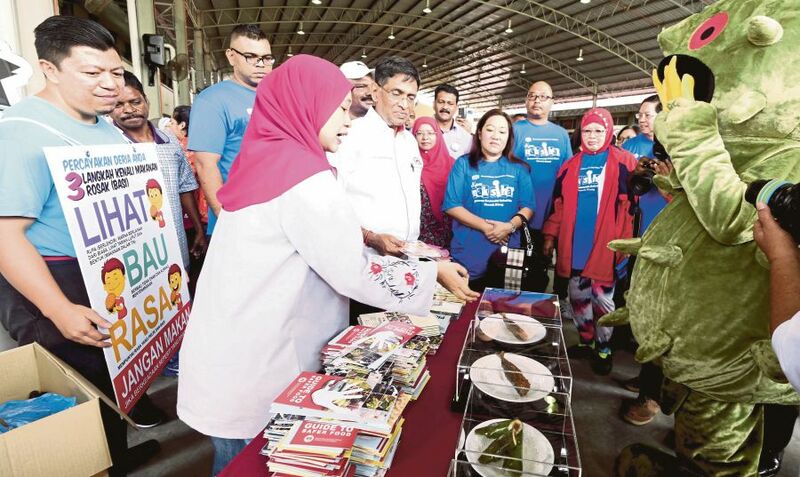 Health Minister Datuk Seri Dr S. Subramaniam said the programme, “Awareness on Health Eating with PTA”, organised in collaboration with the Education Ministry, aims to educate parents and promote a healthy eating lifestyle. This, he said, would help bring down the number of overweight and obese children in the country, as well as prevent non-communicable diseases such as diabetes and cardiovascular diseases. “I have asked the ministry’s nutrition department to organise classes with PTAs, especially with mothers because they play a crucial role and have a greater influence in selecting the choice of foods and drinks for their children. “Hence, if they are well informed on the proper diet required for children, on the amount of fruits, vegetables, proteins and carbohydrates to take per meal and so forth, it will help create a healthy society. “Parents sometimes treat their children to fast food as a reward for an achievement. This, in the long run, will become a culture in the family and the child will associate success to fast food. “Therefore, if parents have the information needed, it will help them make better choices when it comes to food preparation or eating out,” he said, adding that the programme, which started early this year will be expanded to schools nationwide in due time. Dr Subramaniam told reporters this after launching a health campaign, the Kem Nak Sihat “Bersama Komuniti Kekal Sihat” (Creating a healthy community together) here today. The Kem Nak Sihat is an initiative by the Health Ministry to increase awareness on the need to practice a healthy lifestyle by eating right and exercising. It will be conducted nationwide. This year’s Ujian Pencapaian Sekolah Rendah (UPSR) results saw the inclusion of Body Mass Index (BMI) component in the Primary School Assessment Report (PPSR). It was revealed that more than 50,000 Year Six pupils nationwide are obese. The results showed that a total of 268,314 (63.4 per cent) students recorded normal BMI; 56,584 (13.4) students are at risk of being obese; 58,294 (13.8 per cent) students are obese; and 40,347 (9.5 per cent) students underweight. For the National Physical Fitness Standard, 40,957 (9.5 per cent) candidates recorded ‘very high’ fitness levels and 168,101 (38.8 per cent) candidates recorded high fitness levels. The other 189,929 (43.9 per cent) candidates recorded fit fitness levels and 3,644 (0.8 per cent) candidates recorded unfit fitness levels. Malaysia’s National Health and Morbidity Survey 2015 found that 17.5 per cent of those aged 18 and above, or 17.5 per cent of the 3.5 million total, have diabetes. (File pix) According to the Malaysian Dietary Guidelines for Children and Adolescents (2013), children below 7 years old, should be given two servings of vegetables and two servings of fruit daily. For children and adolescents aged 7 to 18 years, they need to have at least three servings of vegetables and two servings of fruits daily. KLANG: More than 85 per cent of Malaysians do not consume sufficient amount of fruits and vegetables daily. This, despite the fact, that the nation has a host of fruits and vegetables. 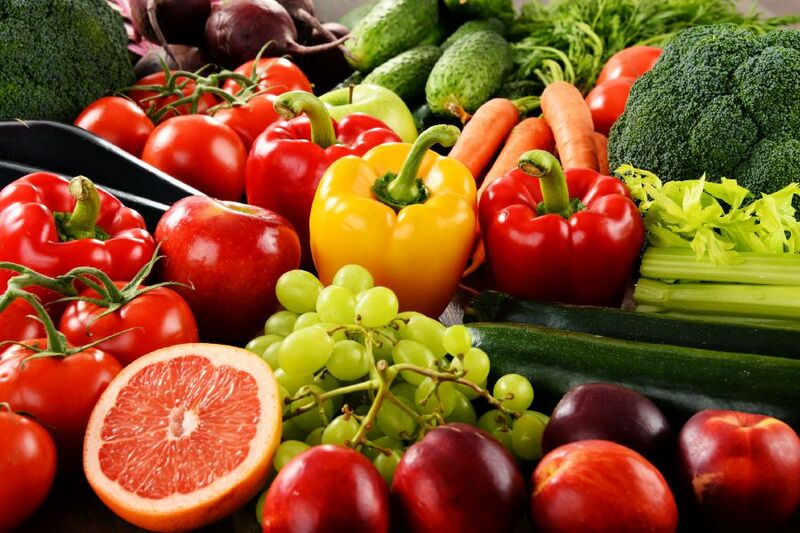 Health Minister Datuk Seri Dr S. Subramaniam said eating enough fruits and vegetables on a daily basis could help reduce the risk of many diseases, including certain forms of cancer, cardiovascular disease, diabetes type 2 and obesity. “Despite well-known health benefits of eating fruits and vegetables, Malaysians are not consuming enough. “Our study on vegetables and fruits intake among Malaysians showed only a small percentage of people actually consume enough fruits and vegetables as per our dietary guidelines. He told reporters this after launching a health campaign, the Kem Nak Sihat “Bersama Komuniti Kekal Sihat” (Creating a healthy community together) on Sunday. Dr Subramaniam said besides government efforts and health awareness campaigns, there has to be a major psychological evolution among the people. “Healthy dietary habits should be promoted to prevent diseases and promote optimal health. “Besides that, parents should make it a point to inculcate sufficient amount of fruits and vegetables in their own diet, as well as that of their children’s. Malaysia’s National Health and Morbidity Survey 2015 found that 17.5 per cent of those aged 18 and above, or 17.5 per cent of the 3.5 million people, have diabetes. In addition, one in three (30 per cent) or about 6.1 million people have hypertension. Almost half of the population (47.7 per cent) or about 9.6 million people have high blood cholesterol level. It also showed that the prevalence of obesity was on the rise with about 17.7 per cent (3.3 million) adults being obese, and about one out of three being overweight. The recent Primary School Assessment Report (PPSR) revealed that more than 50,000 Year Six pupils are obese nationwide. The World Health Organisation states that a healthy diet contains at least 400g (five portions) of fruits and vegetables a day. Potatoes, sweet potatoes, cassava and other starchy roots are not classified as fruits or vegetables. According to the Malaysian Dietary Guidelines for Children and Adolescents (2013), children below 7 years old, should be given two servings of vegetables and two servings of fruit daily. For children and adolescents aged 7 to 18 years, they need to have at least three servings of vegetables and two servings of fruits daily. KUALA LUMPUR: The tourism sector should adopt good Occupational Safety and Health (OSH) management and practices to reduce the number of accidents and health problems in the sector. 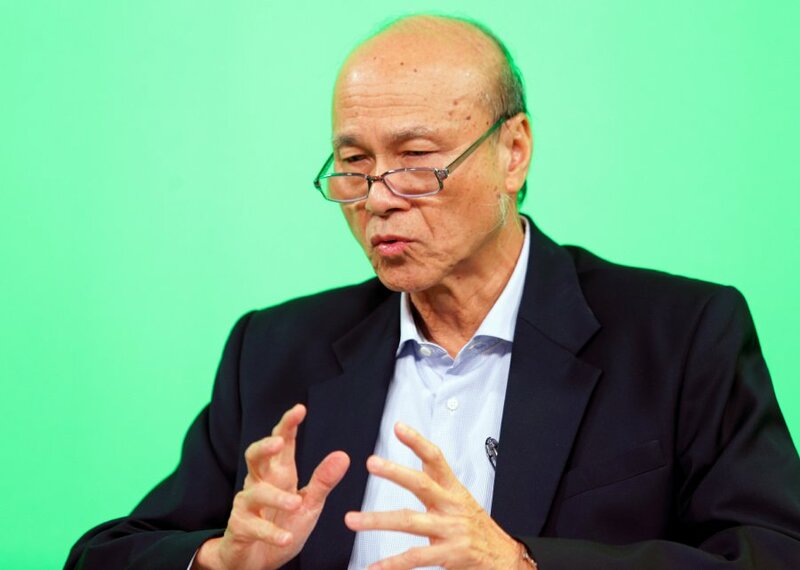 National Institute of Occupational Safety and Health (NIOSH) chairman Tan Sri Lee Lam Thye said OSH management in the tourism industry is crucial as it will definitely bring positive impact to the safety and protection of not only the workers involved but also tourists. “The victims in the incident were lucky as they only suffered from minor injuries” he said in a statement today. In the incident last Tuesday, 13 women and three men, aged between 24 and 76 were on their way to Kota Kinabalu when the bus they were travelling in skidded and crashed into a drain along the Beaufort – Papar road. Lee pointed out that good OSH practices in the tourism industry is all the more important now that the Tourism and Culture Ministry had targeted 36 million tourist arrivals in 2020. “If all those in the tourism industry adhere to this concept, they will certainly take proactive steps to prevent accidents or illness from happening and ultimately help reduce the number of cases every year. “NIOSH is ready to assist the tourism industry to implement the concept as it is part of its role to provide training, give consultation, disseminate information and conduct research on OSH,” said Lee, a veteran activist. Based on the Department of Occupational Safety and Health (DOSH) information, 42 accidents in the hotel and restaurant sector were reported nationwide in the first seven months of the year. Last year, 87 accidents and 3 deaths were reported in the hotel and restaurant sector, with two of the accidents involving permanent disability. “Although accidents do occur in the tourism industry from time to time, we do not have the actual number of statistics because the sector is widespread and relevant data was collected by different agencies. “It is important for us to have complete statistics so that better planning can be made to address this issue in the future,” he said. At the same time, Lee noted that NIOSH has already embarked on various OSH programmes with the private sector and state governments, especially in Sabah and Johor. Citing an example, he said the NIOSH regional office in Sabah has implemented many programmes for the tourism industry since 2013. These included OSH awareness and defensive driving seminar for tour bus drivers, courses on basic water safety, basic first aid and security induction training for tourism industry workers. NIOSH is also promoting the “Vision Zero” concept for the industry, in line with the global movement led by the International Social Security Association (ISSA). “ISSA has launched Vision Zero campaign at the 21st World Congress on Safety and Health at Work in Singapore early September and it was the first ever global campaign to improve safety, health and well being at work,” he said. 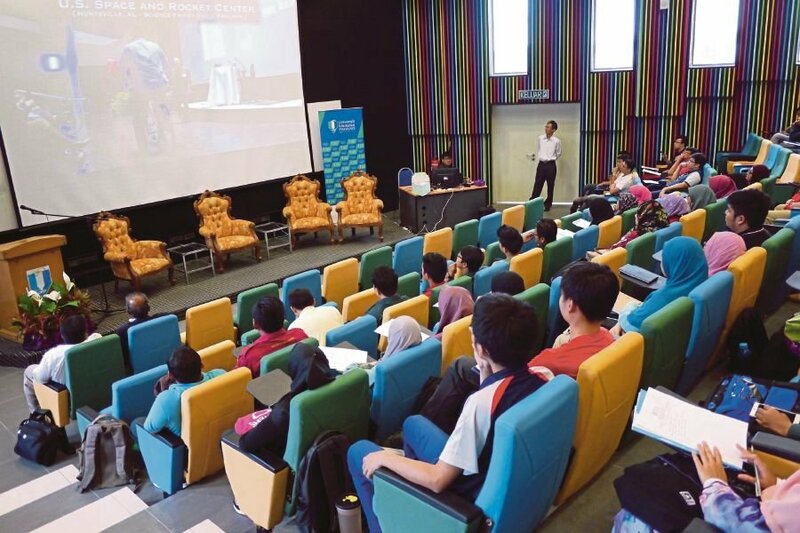 KUALA TERENGGANU: Mastery in English will take students further in their pursuits, says Petronas East Coast regional office general manager Wan Hasnan Wan Abdullah. He said youths can build their confidence to reach out and learn from those beyond their peer group by mastering English. “English proficiency will also give you a competitive edge as you head into employment and will be useful for you to survive the challenging working sphere,” he told students during the closing ceremony of the Mega Trenglish Camp at Taman Tamadun Islam here on Tuesday. The Mega Trenglish Camp was a three-day camp that saw the participation of 210 Form Four students from 40 Trenglish schools around Terengganu. The camp, sponsored by Petronas in collaboration with Yayasan Terengganu and the state education department, is the climax to the 2017 programme. Trenglish was introduced to enhance the proficiency of English in the state. Wan Hasnan said according to a survey conducted by a job portal in 2015, poor command of the English language was one of the reasons why Malaysian graduates found it difficult to land jobs. Wan Hasnan said the number of schools sponsored by Petronas for the Trenglish programme has increased from 37 to 50, of which eight are primary and 42 secondary. Petronas has contributed 150,000 copies of The Star’s Newspaper-in-Education (NiE) pullout to complement the company’s existing contribution for the Trenglish programme. Each pullout comes with a copy of the newspaper. Two NiE workshops were held at the camp to bolster the use of newspapers in class. You are currently browsing the www.Teo-Education.Com blog archives for November, 2017.